You are at:Home»Mobile»Apple»iPhone X vs iPhone 8 – Which one should you buy? iPhone X vs iPhone 8 – Which one should you buy? 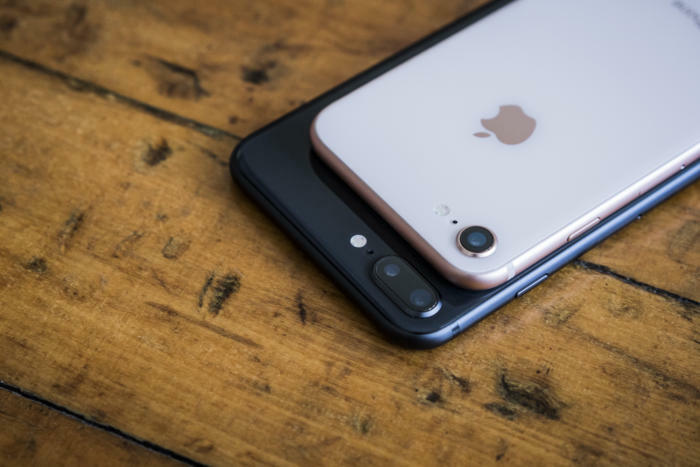 Apple released two important models of iPhone in 2017. One of them is iPhone 8, which was released instead of iPhone 7S, and the other one was iPhone X. The iPhone X, or iPhone 10, is a special device which is designed to celebrate the 10th anniversary of iPhone line by Apple. Now you probably may be wondering whether to buy used iPhone 8 or iPhone X? Read on and you will find your answer in the article. The biggest difference between the iPhone 8 and iPhone X is the industrial design. We have witnessed that Apple lacks the real advancement in the designing department, and it felt most when iPhone 7 was released with no major difference from iPhone 6. Things are a bit different this year, but mostly for only iPhone X. Last year Apple released 3 iPhones, out of which iPhone X stands out for its design. Its screen stretches right to its edges. It is a striking design which is much more eye-catching and appealing than a typical iPhone. The biggest change in design that you will notice in iPhone X is a cut-out at the top of the phone which dips into the screen. Here you will find numerous sensors and the front-facing camera of the phone. Both, iPhone X and iPhone 8, have a glass back, which obviously looks good, but you can’t say anything about their durability. Each phone is water-resistant. However, in iPhone X, the iconic home button of iPhone has gone from the bottom of the screen to near the headphone jack. It means that the Touch ID is only available for iPhone 8. But, iPhone X has a new feature which is called Face ID. The glass back of new iPhones has allowed Apple to introduce wireless charging to its smartphones. Therefore, this feature is not exclusive to iPhone X. Which one is More Powerful? iPhone X and iPhone 8, both are powered by the A11 Bionic chip. This advancement means more efficient devices with smoother performances and a better battery life. Both iPhones are fast: iPhone 8 comes with a 2GB RAM, whereas, iPhone X has a 3GB RAM. In iPhone X, you will find IPS LCD display for OLED. This screen offers perfect black and more vivid colors than displayed in an LCD. Instead of 720p (or 1080p), the OLED also offers a high-resolution of 2436 x 1125.
iPhone 8 has a camera of 12MP, whereas iPhone X has a dual-12MP with extra sensors that act as an optical telephoto zoom lens. Another important feature present only in iPhone X is the presence of a new front camera that can produce portrait mode similar to the rare camera. While comparing these two models of iPhones, iPhone X is a better choice if you are looking for a better display, camera, and RAM. It is a bit expensive, but it worth it. I hope you have got your answer of iPhone X or iPhone 8 – which one should you buy? If yes, let us know which iPhone did you buy.